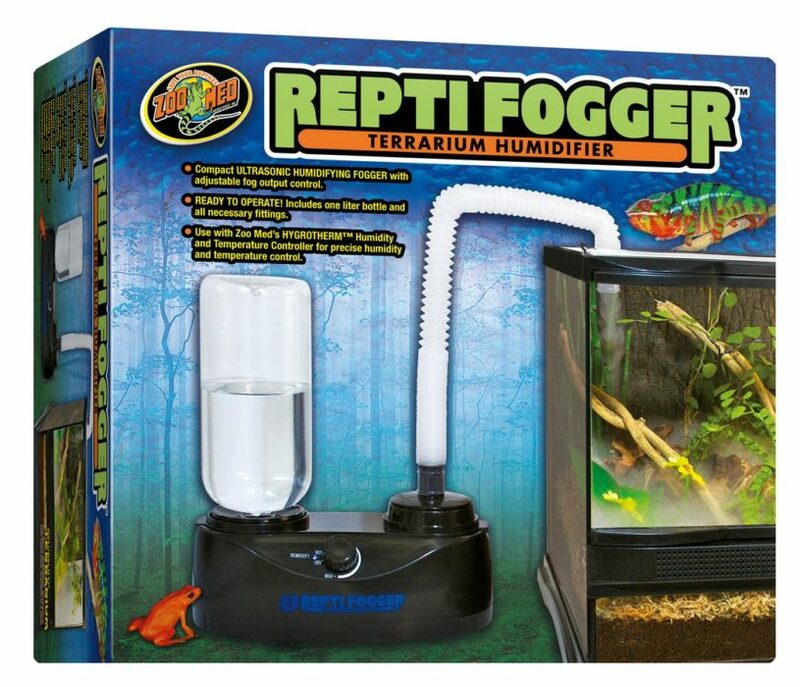 Repti Fogger™ Terrarium Humidifier | Zoo Med Laboratories, Inc. Zoo Med’s Repti Fogger™ is a great way to increase the humidity in your pet’s habitat. Watch our step-by-step video on how to properly set up a Repti Fogger™. Q: My Fogger won’t turn on and the blue light is not on. A: There is a small white float in the center of the reservoir that is attached to a safety shut off that does not allow the Fogger to come on if there is not enough water in the reservoir. If your blue light will not come on, be sure that there is water in the Fogger. You can squeeze the bottle gently to release water into the reservoir and allow the float to float. If that does not work, take the top off the reservoir and tap the float with your finger to be sure that it isn’t stuck. Q: My Fogger is making fog but it won’t go through the tube. Q: The Repti Fogger™ won’t come on at all. Why isn’t it working? A: With this unit, it is important to know that there is a float in the center of the reservoir which controls a safety shut off feature. If the reservoir is not full (because water has not been added or the no-spill valve on the water bottle is stuck) or if the float is stuck to the bottom of the reservoir, the Fogger will not come on at all. Make sure there is water in the reservoir and that the round, white float in the center is not stuck to the bottom. A: If the blue light is flashing and the Fogger is turning on and off, the water level is probably right on the verge of being too low. Users should check to be sure that there is water in the bottle and that the valve isn’t stuck. Usually, a gentle squeeze on the bottle will take care of this problem.